Jack Wagner doesn’t pull punches in his latest television ad. It slams City Councilman Bill Peduto on several fronts, using some attacks identical to those in an ad aired by Mayor Luke Ravenstahl. “Bill Peduto’s Pittsburgh? Divided. Peduto put wealthy neighborhoods first, opposing redevelopment in Homewood and the Hill District,” says a narrator over footage from Peduto’s first television commercial. It’s the first all-negative ad from Wagner’s campaign, and it began airing this week just as Peduto switch this his first all-positive ad in weeks. Several of the charges of familiar: they use the same citations as an attack ad from a PAC chaired by longtime Peduto rival Ravenstahl. 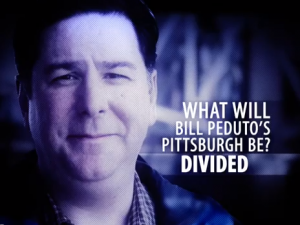 Peduto’s campaign has said he opposed the projects referenced in both ads because of opposition from those communities. The ad also reiterates an earlier charge by Wagner that Peduto has awful relationships with his colleagues on Council. Update: Peduto’s campaign blasted Wagner for using a negative ad after criticizing Peduto for doing the same. 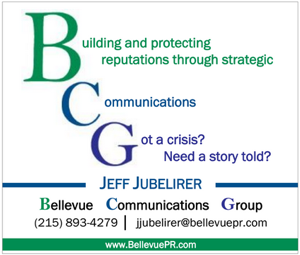 “With the most recent polls showing Jack Wagner falling behind Bill Peduto in the race for mayor, Wagner, despite saying he is opposed to negative campaign ads, has joined his Republican-allies in an assault on Councilman Peduto’s character,” said Peduto’s campaign in a statement. Finally, Wagner’s campaign took aim at Peduto’s recent ads, challenging the Councilman’s claim that he took a pay cut to help pay for police officers. State Rep. Jake Wheatley and activist AJ Richardson are also running for the Democratic nomination for mayor. Jack Wagner is an empty suit. Just another version of Steelerstahl, just older. 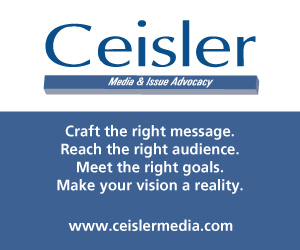 Didn’t Wagner call mud slinging and negative ads “childish”? This ad is pretty close to ravenstahls attack ads and wagner denies no ties with boy lukey pittsburghers are not the stupid just remember a new broom sweeps clean. Wagner campaign is flailing around like a fish out of water. they clearly are running by the seat of their pants and aren’t sure about what they are doing. this ad isn’t effective. looks like it was done by someone who doesn’t know what they are doing, just throwing in a laundry list of hits that are not very good.